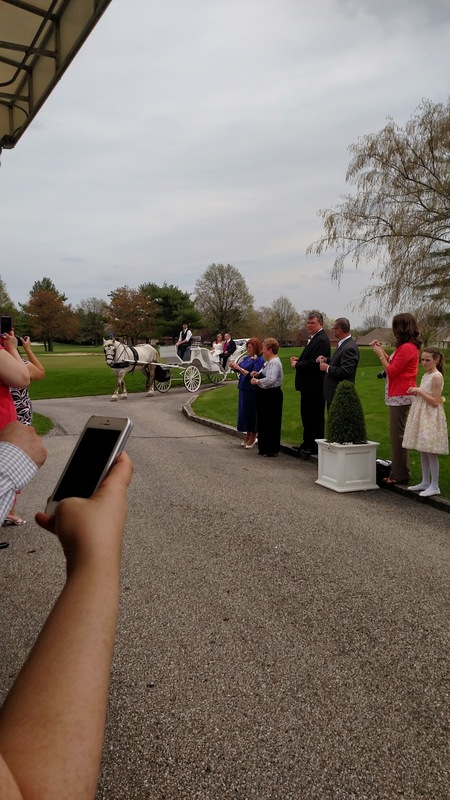 Nick's cousin got married this weekend at a fancy golf course south of Indy. After all of the bridesmaids and groomsmen were at the altar, as well as the groom himself, we were left waiting for the bride. For several minutes. The crowd started to rib the groom about getting jilted at the altar. And then...we heard the clip clop of hooves on the cart path! 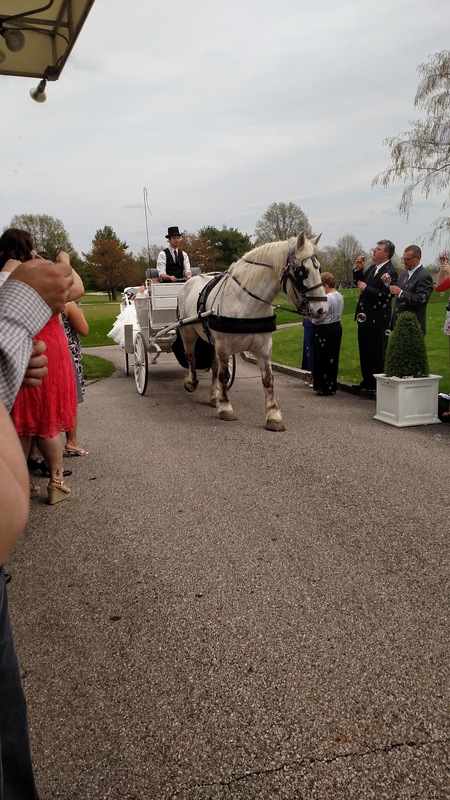 She surprised everyone, including her own bridesmaids and husband, by arriving via horse and carriage, which dropped her off at the top of the aisle, right next to that path (the wedding was in a partially covered pavilion on the path). Best horse ever, or best horse ever? Nick's family asked if Connor could do that, and I was like "Pull a cart, yes. Pull a cart through two lines of cheering people blowing bubbles? 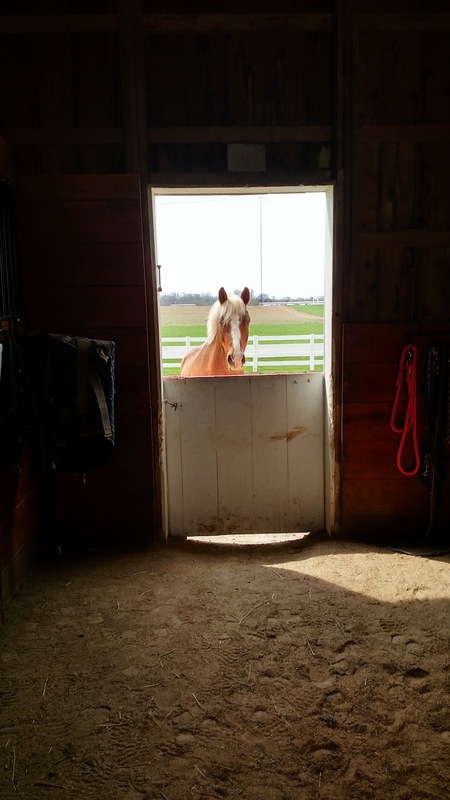 He'd be like 'UH UH, see you later!" Haha! What a horse. Courage would do the lines of cheering people (he believes they owe that to him) but I sort of think there would be wanton death and destruction if I tried to attach him to anything. Lol! I am trying to picture Connor navigating a field of bubbles. Aww this is so cool! 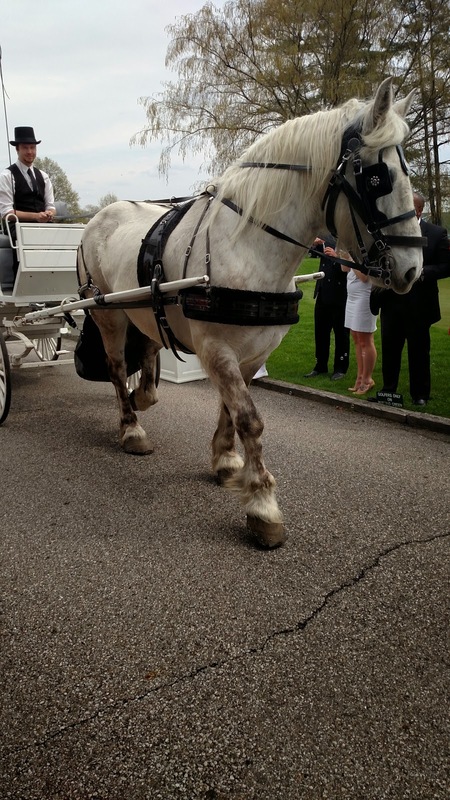 My old trainer did something like this, except that her parents surprised her with a horse drawn carriage to take her to the aisle so she was surprised too! Such fun.